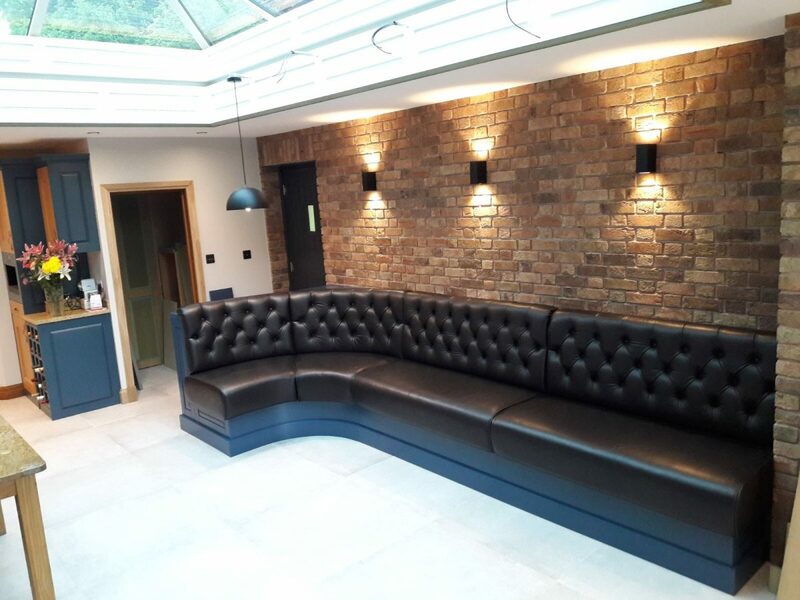 Here at ETB Furniture we pride ourselves on being able to create furniture that fits the requirements and expectations of the project at hand, whilst also creating practical and aesthetically pleasing items for all uses. 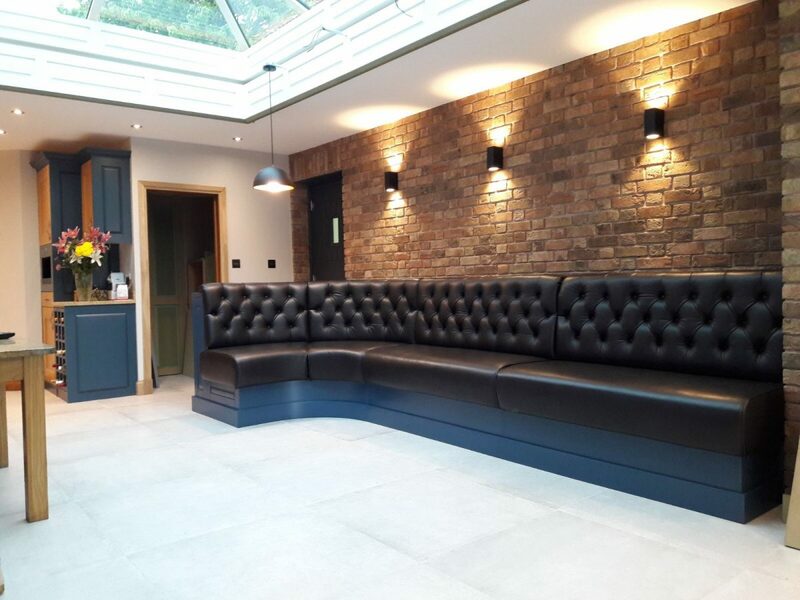 This leather Chesterfield seating was carefully manufactured to create a beautiful bespoke seating area for our client. 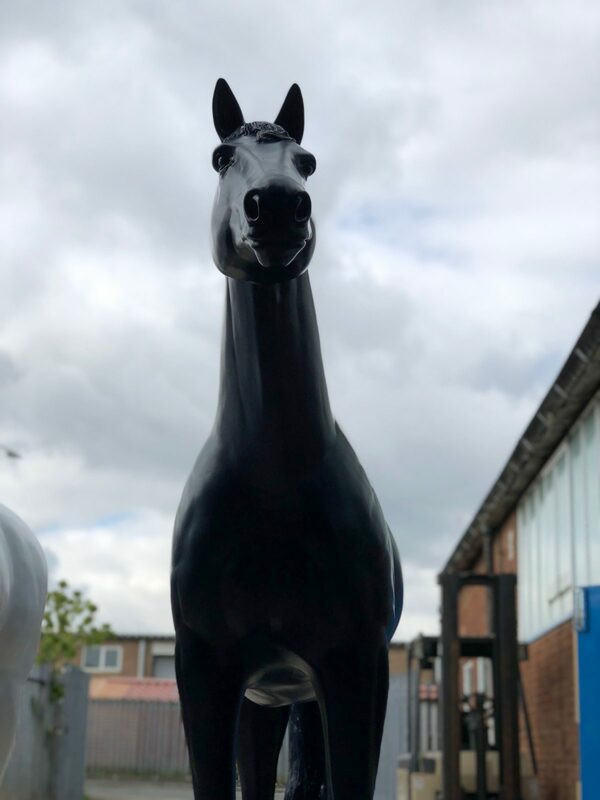 The main carcass colour being Farrow & Ball Stiff Key Blue, matching the decor of the room and complimenting the dark notes of the leather. 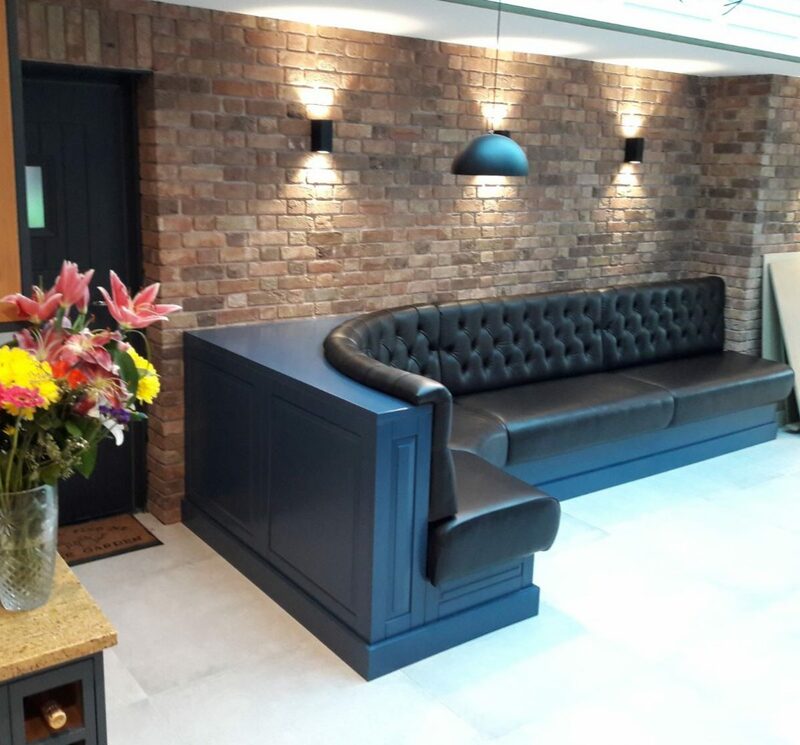 Ideal for commercial areas, or waiting room areas this piece of furniture has been carefully designed to flow with the original architecture of the room as well as maintaining the existing decor. 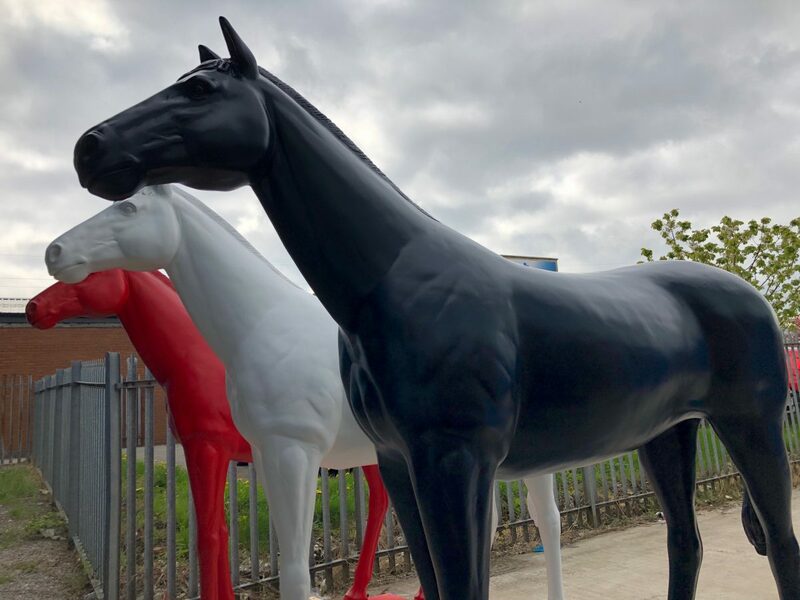 A large project for our spray shop. 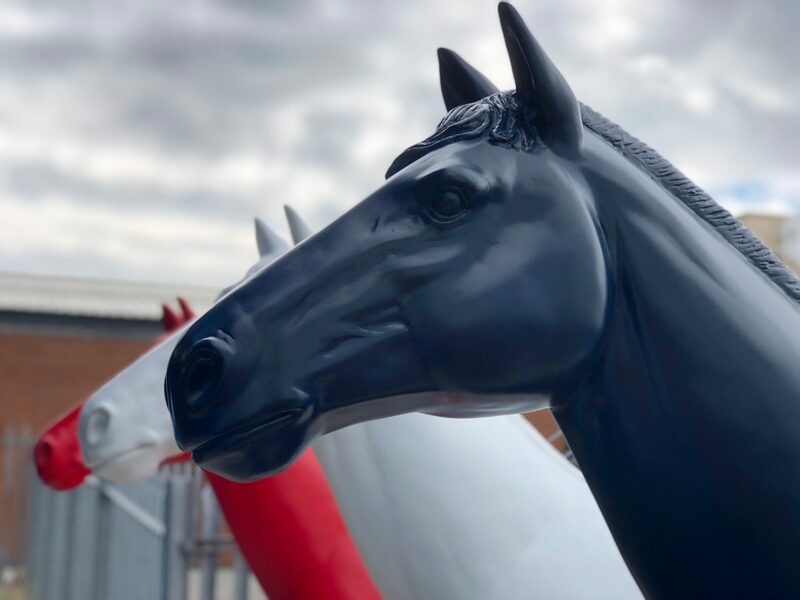 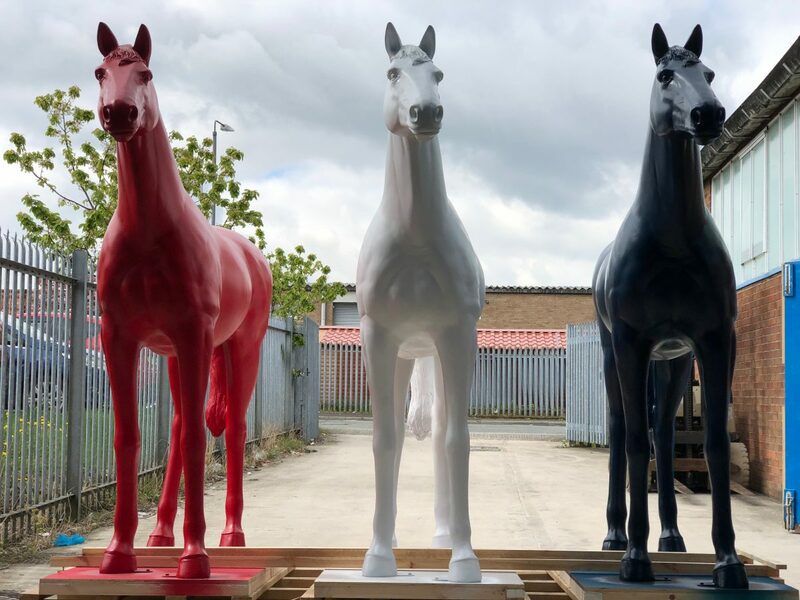 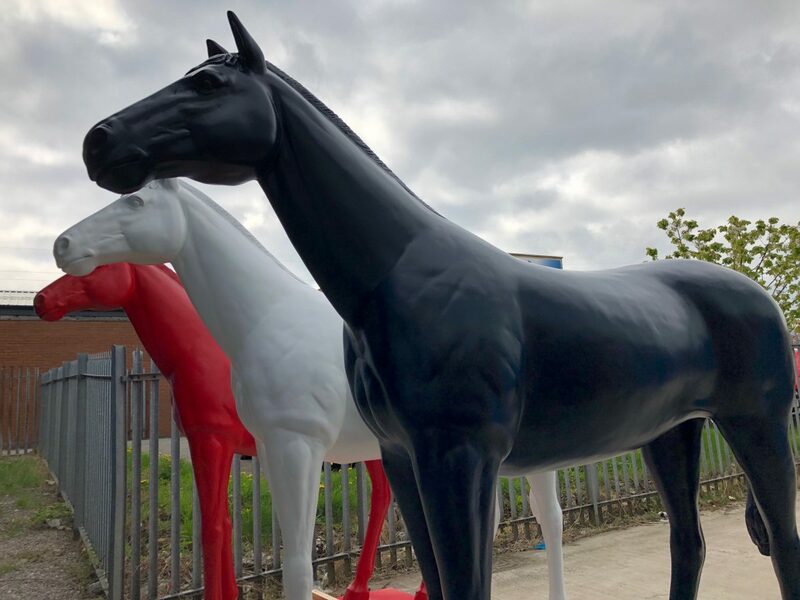 Colourful, life size patriotic horses for a local race course. 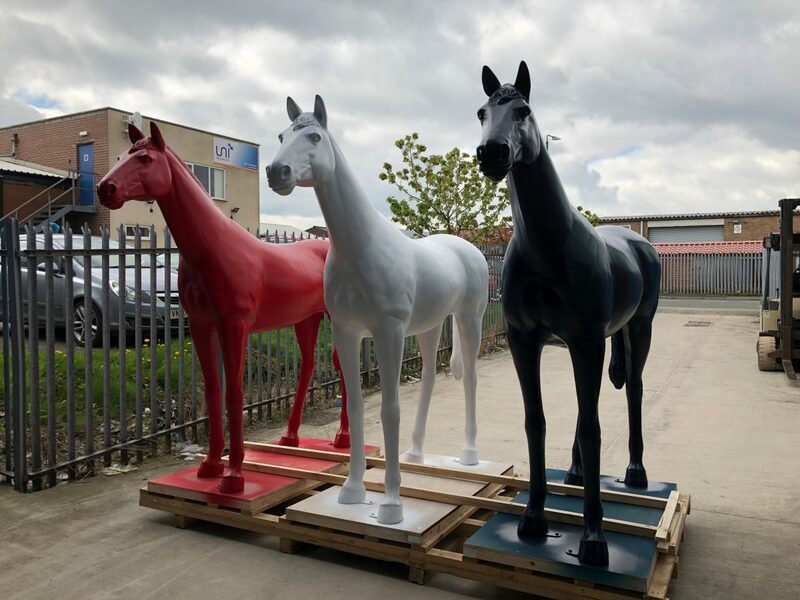 Having our very own manufacturing and spray shop facility means that we can take on almost any painting project. 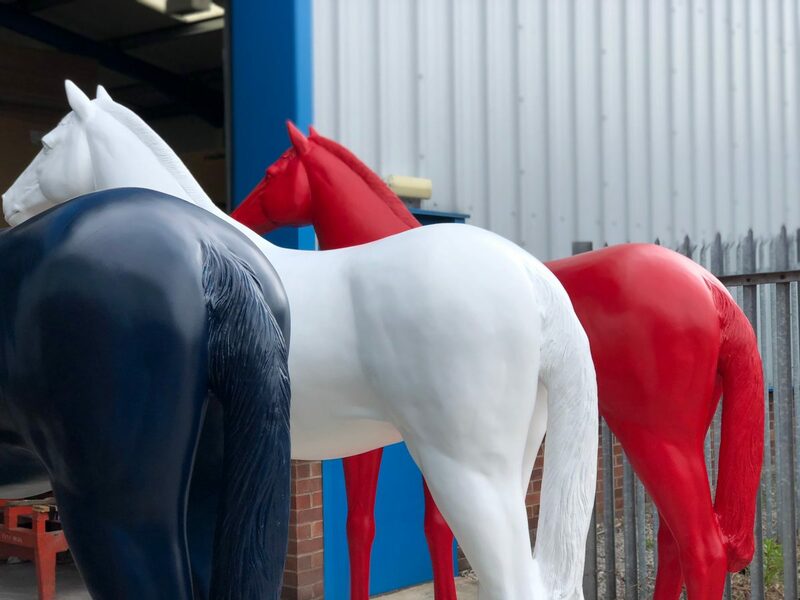 Using one of the biggest paint manufacturers in the UK, we can colour match to any RAL number and work with you to find a suitable paint. 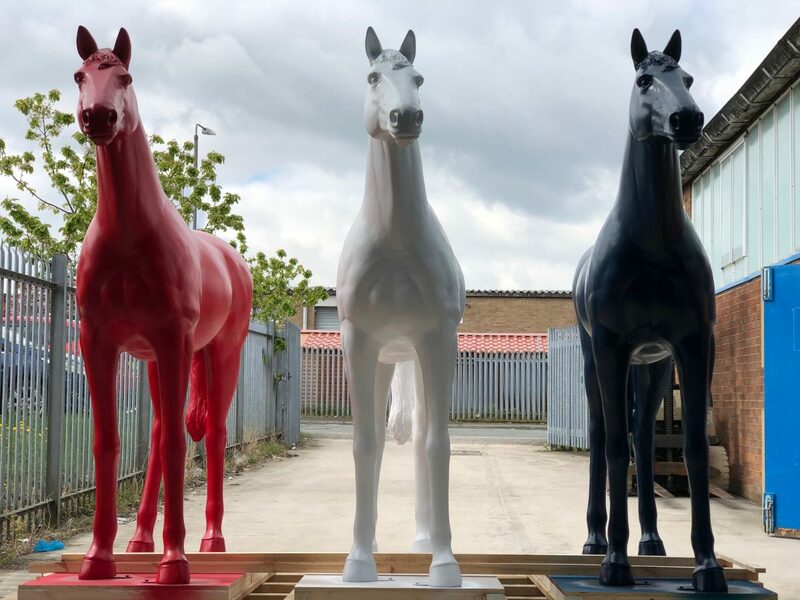 Due to the nature of the material, acrylic paint was used for this project. 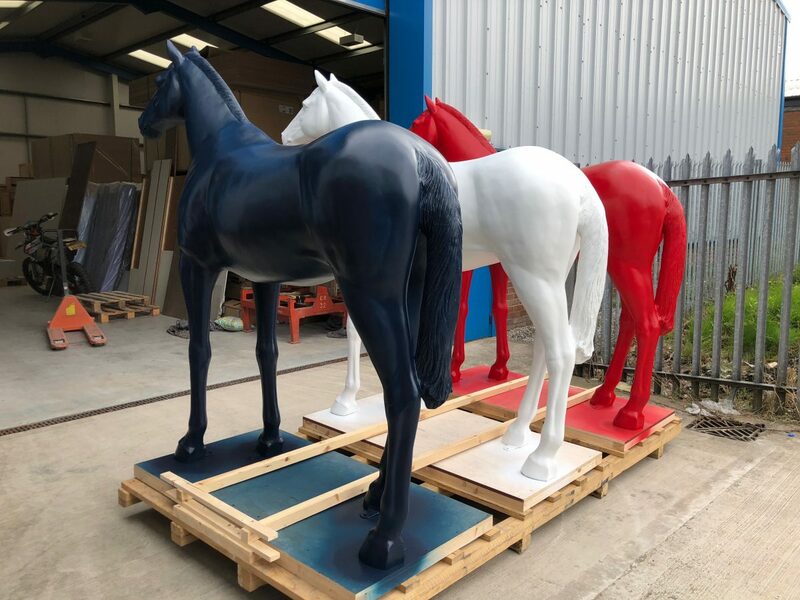 The paint was then sprayed on to the horses by our skilled painters.